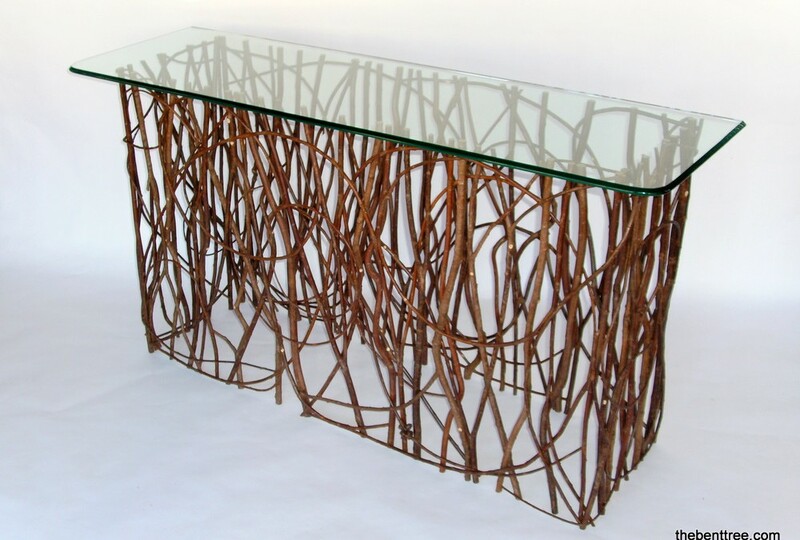 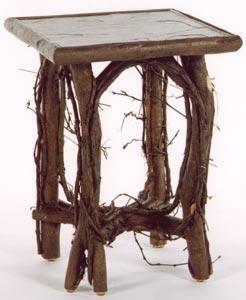 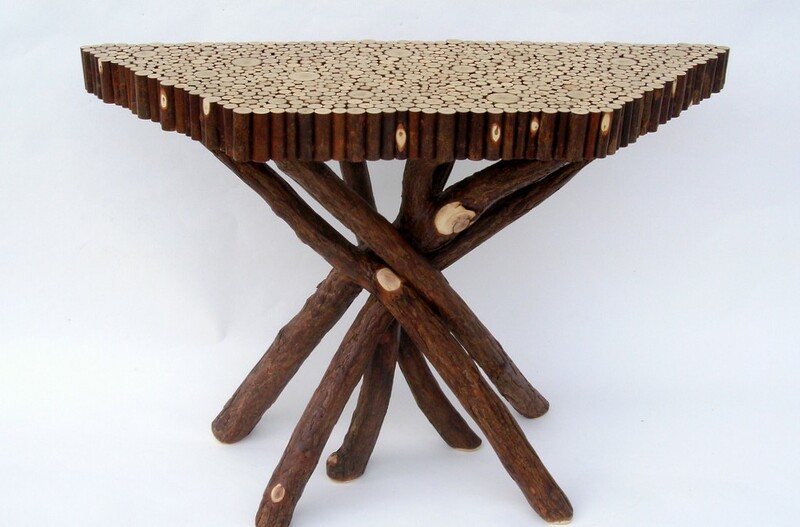 #2352 Bramble End Table 17 x 17 x 23H Embellished with wild grape vines. 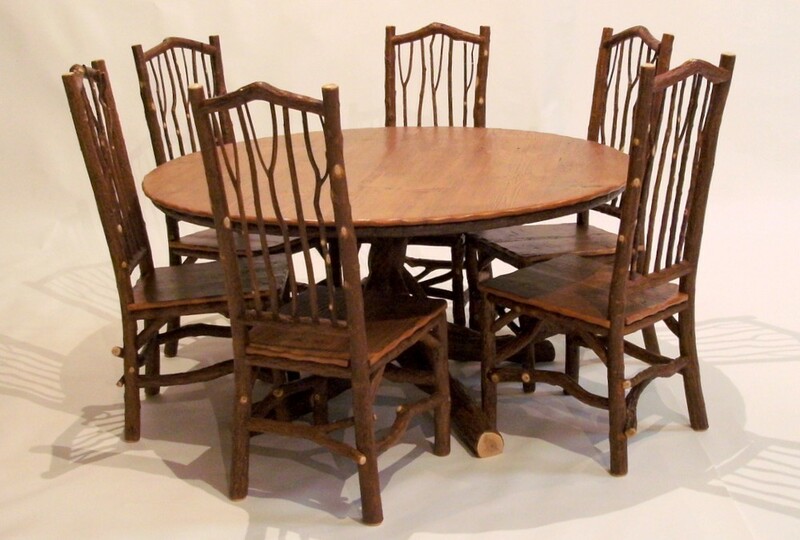 Tops available: Willow Inlay, Pinwheel Willow Inlay, Barn Wood, Oyster, Oak, Pine, Slate (pictured). 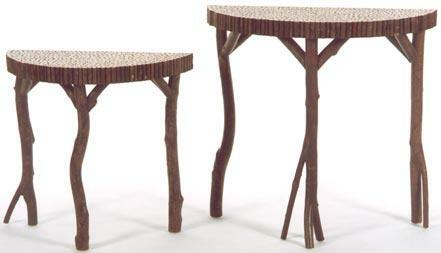 Other sizes available to fit your size specifications.